Philosopher Jānis Taurens in April 16, 2012. 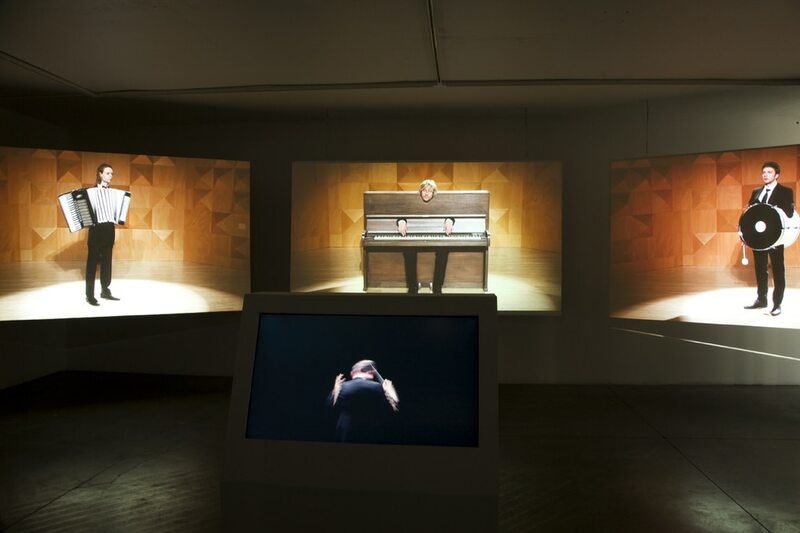 Blind sounds consist of four videos that form a united exposition. Three musicians are placed into three different music instruments – accordion, piano and drums – and are playing them. Opposite to the projections is shown the forth video that displays a conductor. A visible image and an audible sound are two different perceptions. The image falls silent when the ears are shut; the sound gets blind when the eyes are closed. Moreover, we are not capable to see the sound of the image and to hear how it looks. It seems that one is not aware about the existence of another. The blind sound does not show the end, the mum image does not reveal it. When the sound of accordion dies away, all that remains, is a mute frame – it can’t express anything about the sound’s ending or the location of it. It seems that one must stay outside these phenomena since the audible sound does not arrive from the visible image, and that is why it is so important not to lose the inner figure of the conductor and to move the blind sound silently back on the right track. Indriķis Ģelzis is a video artist. He has participated in several group shows in Germany, Netherlands, France etc. 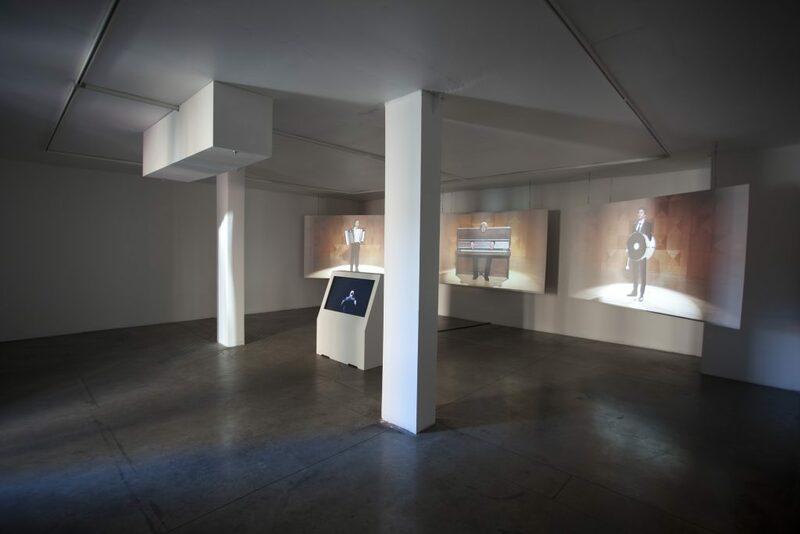 Recent exhibitions include solo show “Lost in eyeshot” (Cēsis, summer 2012); exhibition “Recognize the opponent” (Zwolle, Netherlands, Beelbuis Filmfestival); Latvian video art evening in Saint-Ouen, France.